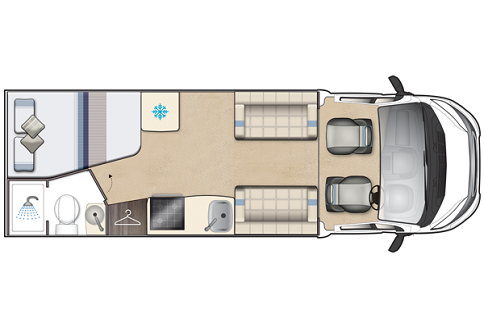 So, as with any range of low profile coachbuilt motorhomes, the detail in the layout is crucial. 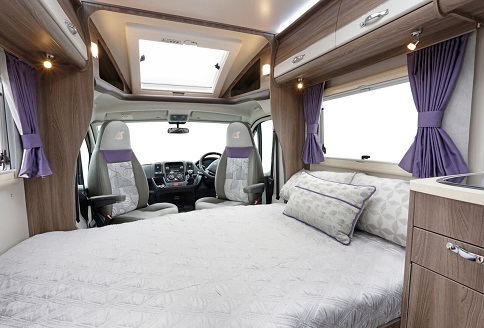 In fact, Auto-Sleeper has so much experience in both designing and building motorhomes, that every new Auto-Sleeper shares similar build quality and specification. 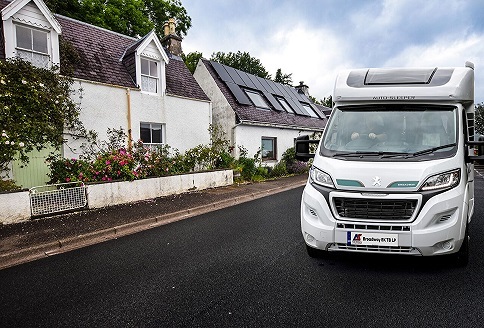 The right approach is crucial in bridging the gap between the luxurious range of perfect Mercedes Benz motorhomes and their Peugeot line-up. 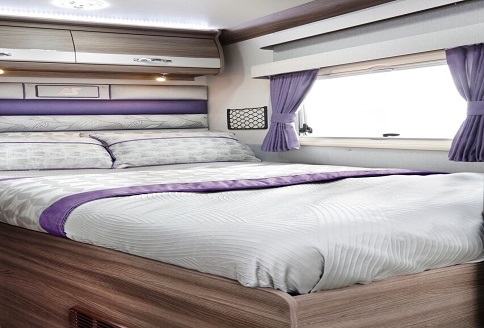 Auto-Sleeper have decades of research and experience to draw on. Hence, a fixed French bed model, on a 3500kg chassis is always going to be a winner. You can see why the FB option is in such demand. The most important thing for Auto-Sleepers is retaining the luxury and quality that they datejust are renowned for. So, just judging by the market’s reaction, the Auto-Sleeper Broadway FB has already achieved all of those goals and more. In fact, step inside and you’ll find a generously proportioned front lounge. This leads into a well-specified GMT kitchen and then the shower room and fixed bed. So, nothing is left to chance and, as ever, the detail is superb. 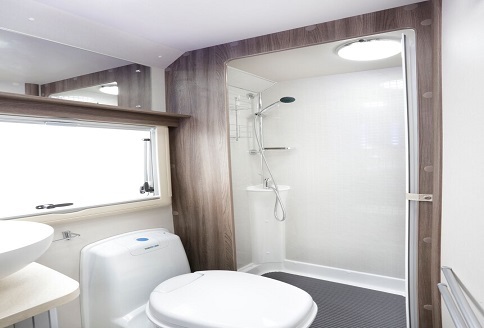 Features include Belgian fabrics, LED lighting, removeable carpets and a re-fillable gas tank. Outside, there’s an electric step, 80w solar panel, alloy wheels and gas bbq point. As the Broadway FB is a low profile model, an opening “Sky-View” over cab window is standard. 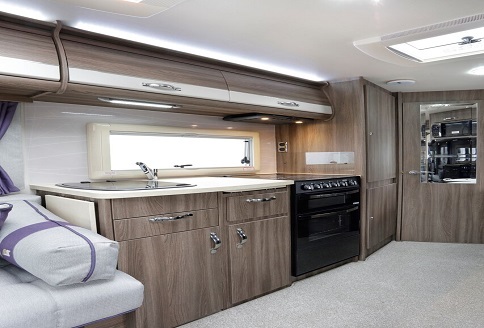 The FB also features a large lounge roof light, opening vent above the kitchen and above the double bed too. 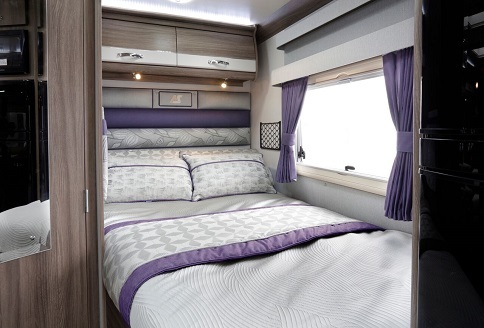 Final touches include cab blinds, 3 way fridge and separate freezer, TV and USB points and rear, wind-down steadies.